No other Elizabethan poet was more cognizant of his legacy than Ben Jonson. Jonson’s rivals were not just his peers – Shakespeare, John Marston, Tho. Dekker, or Tho. Middleton – but the great poets of ancient Rome – Seneca (4 BC-65 AD), Catullus (c. 84–c. 54 BC) and Martial (AD 40–103). In writing poetry and drama, Jonson adopted many of the tenets and poetic forms of these great classical poets. After all, the English language of Jonson & Shakespeare had no literary past. With the exception of Chaucer and Gower (who few poets emulated), the great literature of the past was the great literature of the Romans and the Greeks. So it was that when other Elizabethan poets were enthusiastically adopting the new-fangled sonnet form – Spencer, Shakespeare, Sidney, and Daniel – Jonson adopted the epigram (the form that Catallus and Martial had developed and established over a thousand years before). What better way to establish yourself as the inheritor of a great tradition than to write within that tradition? 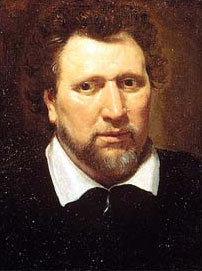 Jonson was the scholar among Elizabethan playwrights. He was also a bricklayer’s son and because of it he was more sensitive to questions of class and status. In 1598, Jonson killed another actor, Gabriel Spencer, who (according to Jonson) had insulted both him and his dramaturgy. Jonson only saved his neck by pleading Benefit of Clergy (meaning he could read). The episode was a sign of things to come. His rivalries, both literal and personal, became the stuff of legend. To my knowledge, The Poet’s War refers to only one thing: The rivalry between Jonson, on the one side, Marston, Dekker and eventually Shakespeare on the other. In fact, in one form or another, the rivalry eventually netted just about every poet and dramatist writing during the day. The rivalry appears to have been mostly good natured but, as with all such rivalries, there must have been some bloody noses too. The theatergoers took tremendous pleasure in the jibes and taunts, and the plays of the time are full of references to the rivalry. Whole books have been devoted to it and it makes for very entertaining reading. No surprise, for instance, that Jonson endlessly ribbed Shakespeare for the latter’s gentlemanly pretensions. When Shakespeare finally obtained a coat of arms(the only extent sketch being above right 1), Jonson was quick to pull the rug out from under his rival – satirizing Shakespeare’s motto. Duncan-Jones explanation of Jonson’s jibe, the joke behind mustard, is as convincing as any I’ve read. (No one really knows and there are different explanations). James Bednarz, in his book Shakespeare & The Poet’s War, (which I’m just reading) explains Shakespeare’s response in the following paragraph. Not only that, but Bednarz goes on to detail his case for just how and when Shakespeare “purged” Jonson (which was apparently the beginning of the end of the whole imbroglio). Shakespeare’s portrayal of Jonson as the slow-witted Ajax in his play Troilus and Cressida (the name Ajax in Elizabethan times was a pun on latrine) must have brought the house down. Many scholars consider Troilus and Cressida to be a “problem play”, but if it is read and understood as, perhaps, the final salvo in the poet’s war, the play makes a good deal more sense. Anyway, this is going far afield. Jonson’s epigrams are full of pithy one liners, wicked satire, scathing quips and pointed praise. The enjoyment of them takes a certain kind of reader – one who enjoys the finely chiseled line for the sake of it and someone who has some knowledge of the Elizabethan period. Jonson is rarely rapturous or “romantic”. He’s Elizabethan through and through: intellectual, ambitious, and always ready to deploy reason, rhetoric and a stinging jest. The lines are simple and straightforward. For the fun of it (and since I’ve already gone so far afield) I’ve printed the poem using a brand new font – P22 Elizabethan. The font was created for a historical novel and reproduces a kind of script that was called Secretary Hand. All Elizabethans who could write, could write Secretary Hand. It was the formal hand of record keeping, the scribal book and court documents. Jonson would have been capable of Secretary Hand but, like most other Elizabethans, wrote a more italic style when writing informally. If this poem had appeared in a scribally published book, however, this is how it might have looked. And what follows below is another poem by Ben Jonson as it appeared in a scribally published book, in actual Secretary Hand (but not Jonson’s handwriting). The image comes from the Folger Shakespeare Library’s Digital Collection [MS V.b.43] and the entire page can be viewed in Christopher Ivic’s Essay: Ben Jonson & Manuscript Culture. If it looks like I’m having fun with fonts, it’s because I am. 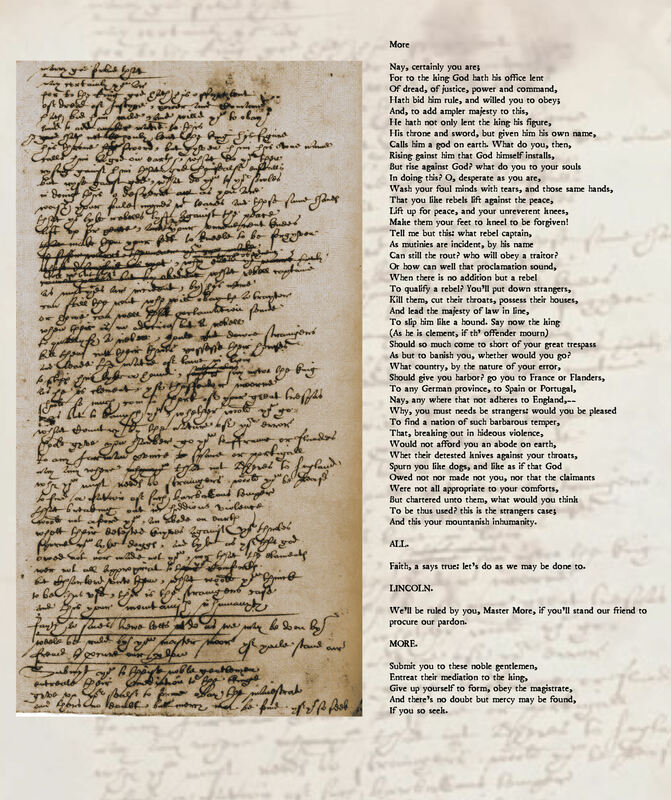 The Folio Font can be found for free and is intended to mimic the typeset used in Shakespeare’s Folio, which was probably the same as that used in Jonson’s. Before I move on to Jonson’s Drinke to me, I want to have just a little more fun. 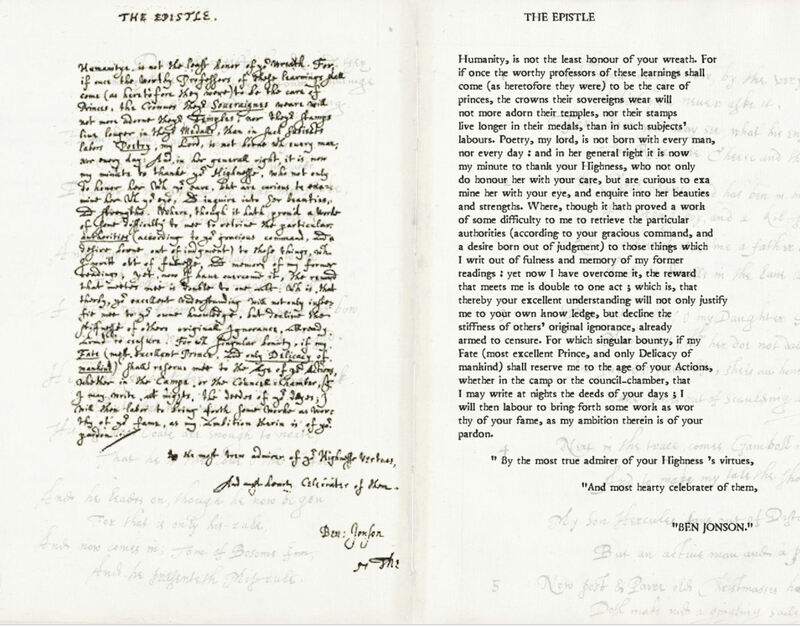 Below is the handwriting of Shakespeare, John Donne, Christopher Marlowe and Ben Jonson. The first image is of Shakespeare’s Sir Thomas More, or rather, his contribution to the play. 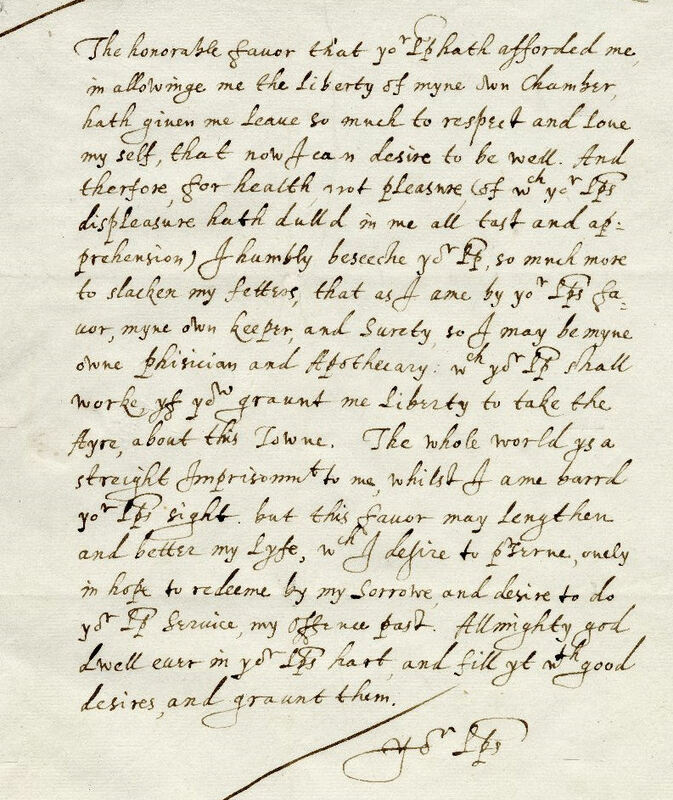 The writing is believed to be the only extent sample of Shakespeare’s handwriting. His handwriting is considered to be old-fashioned (Tudor) and idiosyncratic – like his spelling. This undoubtedly reflects his schooling which, for one reason or another, was conservative and somewhat behind the times. It may also reflect the possibility that he was privately tutored or self-taught, but that is sheer speculation. If you want a closer look, you will have to do two things: First, click on the image, then enlarge it using the zoom feature in your browser (Firefox is CTRL + to enlarge CTRL- to diminish). Clicking on the image may also suffice. And if you want to see more from Jonson’s Epistle, click on the image and enlarge. The next example is from Christopher Marlowe’s Massacre at Paris. 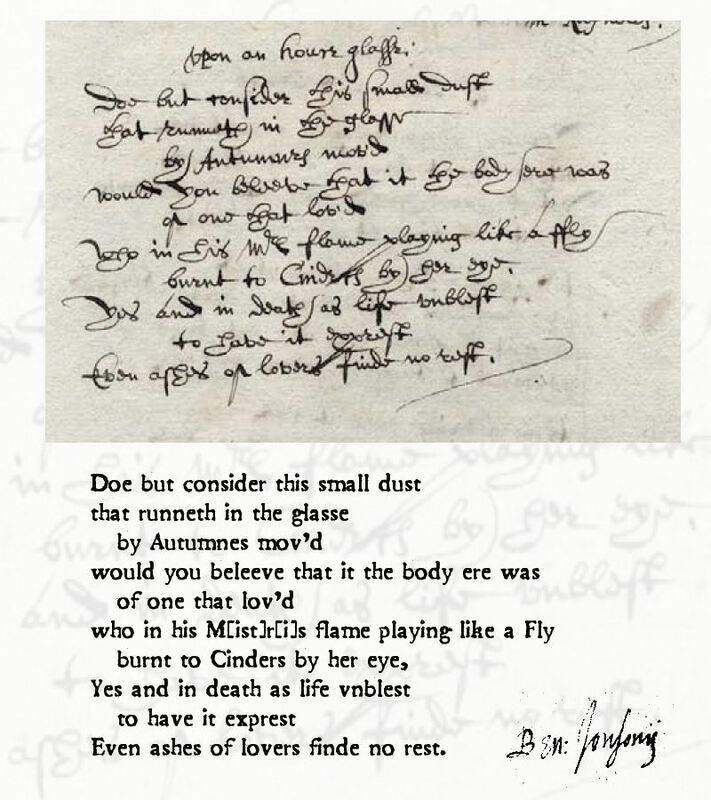 It looks as though the foul paper (Marlowe’s handwritten text) doesn’t match the printed example I found on-line. 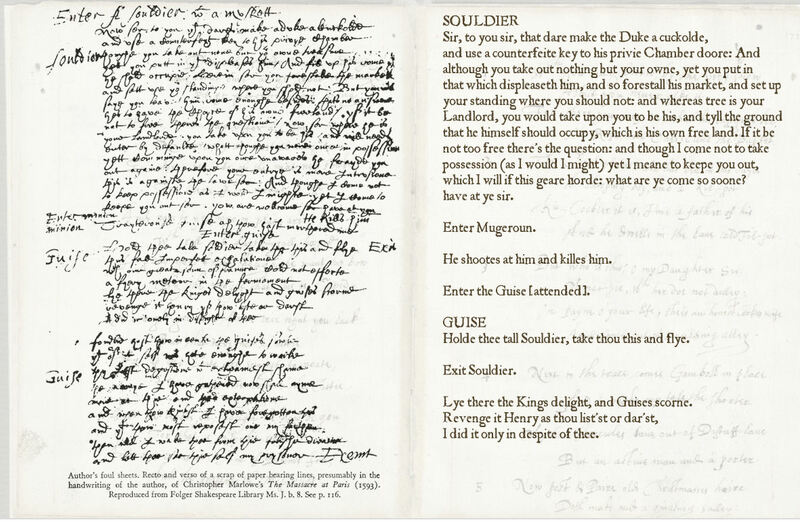 It’s possible that the final version of the play is different – or I simply can’t read Marlowe’s handwriting. The sample comes by way of Wikimedia Commons – which itself comes from the Folger Shakespeare Library [MS. J.b.8]. 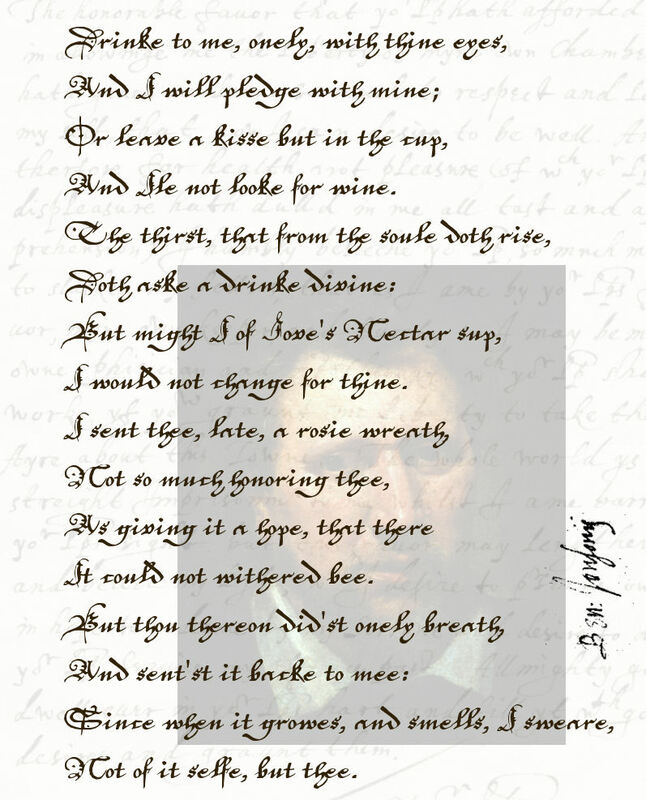 The final sample is of John Donne. Donne’s handwriting is legible enough to not need a parallel text. 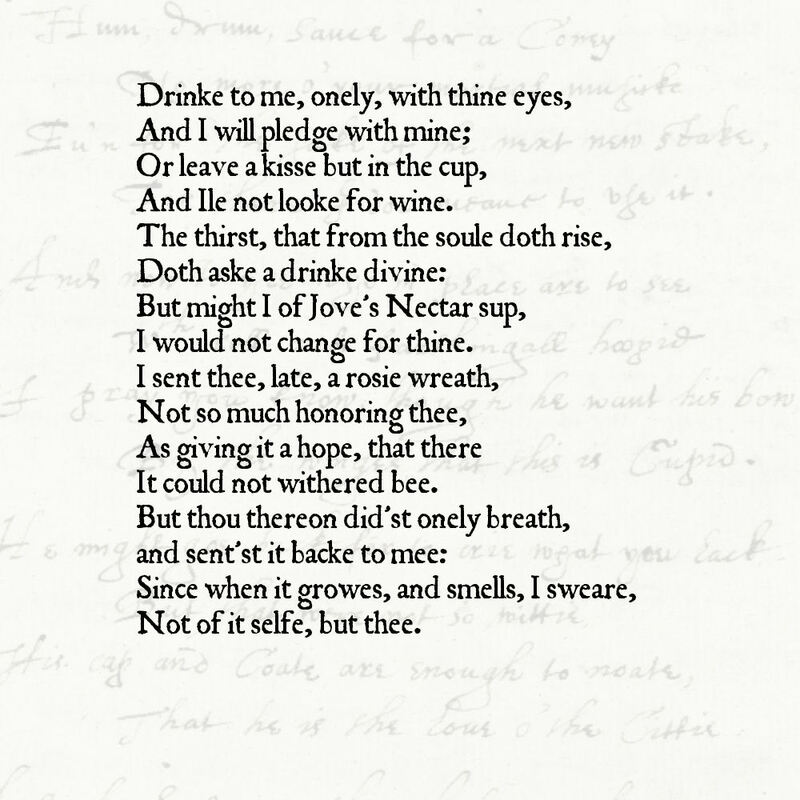 Donne’s handwriting is thoroughly modern as compared to Shakespeare’s, reflecting a very different education. Not only did spelling vary from writer to writer, but handwriting as well. The English Lanaguage, in every conceivable way, was in flux. This image also comes form the Folger Shakespeare Library [MSS L b 1712]. As I wrote earlier, Ben Jonson’s poem is a study in simplicity. 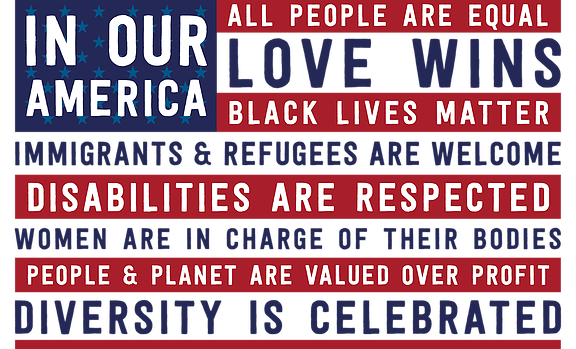 It reminds me of Robert Frost’s best poems – simple and yet profoundly effective and affective. The poem is split into two octaves (eight lines each), and the octave are themselves, divided into two quatrains. 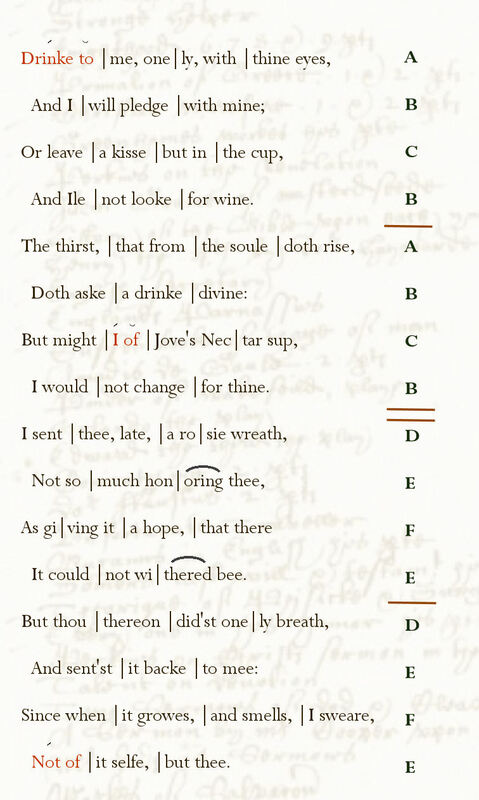 The lines alternate between Iambic Tetramater and Iambic Trimeter – a ballad meter known as Common Meter Double – though I’m not sure the form would have been known as such in Jonson’s day. (Jonson’s poem To Celia – see below – was made into a song by Alfonso Ferrabosco.) There are three trochaic feet and none of them are wasted. They nicely and appropriately stress words in a way that adds to the meaning of the poem – the mark of an experienced and skilled poet. 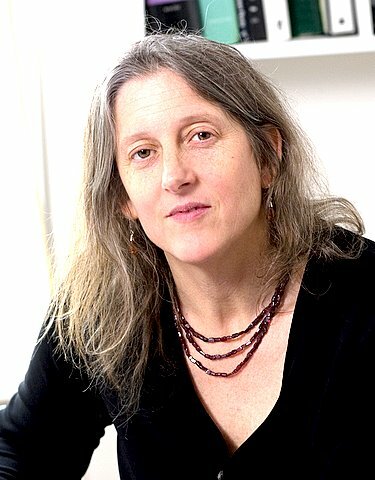 Where the dilettante might let a variant metrical foot slip by without regard to its context, the great poets seem more concerned that the disruption of the meter coincide with the emotional and intellectual content of the poem – not always, but more so. There’s a lesson in this poem for the modern poet. A great poem can be the simplest poem, like Jonson’s Drinke to me or Robert Frost’s The Pasture. There’s a place and readership for the modern poem, but the supremely simple and masterfully written short poem of traditional poetry has been all but forgotten. In the scansion below, all unmarked feet are Iambic. Honey was used to make a sweet alcoholic drink called mead which was drunk by all classes. Wine was generally imported although some fruit wines were produced in England. A form of cider referred to as ‘Apple-wine’ was also produced. Ales were brewed with malt and water, while beer contained hops that held a bitter flavor. It is comparable in strength to the beer produced by Tudor brewers during the reign of Elizabeth I. It has won many prizes and, at the International Brewers’ Exhibition 1968, was awarded the Championship Gold Medal. Regular drinkers simply asked for a ‘Lizzie’. Most wines are sweet and rather heavy. They probably have to be strained before you want to drink them, and may still have solid matter floating in them. In Greek mythology, ichor (pronounced /ˈaɪkər/ or /ˈɪkər/; Greek ἰχώρ) is the ethereal fluid that is the Greek gods’ blood, sometimes said to have been present in ambrosia or nectar. It’s worth mentioning that ichor was considered poisonous to mortals. The soul thirsts for immortality, but I would change that immortality for a different kind of eternal joy – a kiss from Celia. Roses were a symbol of love and Jonson sent not just a rose, but a wreath. Roses were also a symbol of a woman’s virginity (or maidenhead). I think it might be reading too much to read ribald connotations and double-entendres into the latter octave of the poem (though one could easily do so). That said, Jonson’s intentions (in sending the wreath) involved far more than innocent love. The poem strikes a nice balance between the romance of love and the desires of the lover. He, at length, our good will sever. Spend not then his guifts in vaine. ‘Tis, with us, perpetuall night. Why should we deferre our joyes? Fame, and rumor are but toyes. Of a few poore household spyes? These have crimes accounted beene. Even ashes of lovers finde no rest. Emily Dickinson possessed a genius for figurative language and thought. Whenever I read her, I’m left with the impression of a woman who was impish, insightful, impatient, passionate and confident of her own genius. Some scholars portray her as being a revolutionary who rejected (with a capital R) the stock forms and meters of her day. My own view is that Dickinson didn’t exactly “reject” the forms and meter. She wasn’t out to be a revolutionary. She was impish and brilliant. Like Shakespeare, she delighted in subverting conventions and turning expectations upside down.This was part and parcel of her expressive medium. She exploited the conventions and expectations of the day, she didn’t reject them. The idea that she was a revolutionary rejecting the tired prerequisites of form and meter certainly flatters the vanity of contemporary free verse proponents (poets and critics) but I don’t find it a convincing characterization. The irony is that if she were writing today, just as she wrote then, her poetry would probably be just as rejected by a generation steeped in the tired expectations and conventions of free verse. The common meters of the hymn and ballad simply and perfectly suited her expressive genius. Chopin didn’t “reject” symphonies, Operas, Oratorios, Concertos, or Chamber Music, etc… his genius was for the piano. Similarly, Dickinson’s genius found a congenial outlet in the short, succinct stanzas of common meter. The fact that she was a woman and her refusal to conform to the conventions of the day made recognition difficult (I sympathize with that). My read is that Dickinson didn’t have the patience for pursuing fame. She wanted to write poetry just the way she wanted and if fame mitigated that, then fame be damned. She effectively secluded herself and poured forth poems with a profligacy bordering on hypographia. If you want a fairly succinct on-line biography of Dickinson, I enjoyed Barnes & Noble’s SparkNotes. Dickinson used various hymn and ballad meters. Searching on-line, there seems to be some confusion of terms or at the least their usage seems confusing to me. So, to try to make sense of it, I’ve done up a meter tree. The term Hymn Meter embraces many of the meters in which Dickinson wrote her poems and the tree above represents only the basic four types. If the symbols used in this tree don’t make sense to you, visit my post on Iambic Pentameter (Basics). If they do make sense to you, then you will notice that there are no Iambic Pentameter lines in any of the Hymn Meters. They either alternate between Iambic Tetrameter and Iambic Trimeter or are wholly in one or the other line length. This is why Dickinson never wrote Iambic Pentameter. The meter wasn’t part of the pallet. Common Meter, by the way, is the meter of Amazing Grace, and Christmas Carol. And then there is Ballad Meter – which is a variant of Hymn Meter. Obviously the tone is conversational but, more importantly, notice the anapests. The stanza has the same number of feet as Common Meter, but the feet themselves vary from the iambic strictness of Common Meter. Also notice the rhyme scheme. Only the second & fourth line rhyme. Common Meter requires a strict ABAB rhyme scheme. The tone, the rhyme scheme, and the varied meter distinguish Ballad Meter from Common Meter. For the sake of thoroughness, the following gives an idea of the many variations on the four basic categories of Hymn meter. Click on the image if you want to visit the website from which the image comes (hopefully link rot won’t set it). Examples of the various meters are provided there. If you look at the table above, you will notice that many of the hymn and ballad meters don’t even have names, they are simply referred to by the number of syllables in each line. Explore the site from which this table is drawn. It’s an excellent resource if you want to familiarize yourself with the various hymn and ballad meters Dickinson would have heard and been familiar with – and which she herself used. Note the Common Particular Meter, Short Particular Meter and Long Particular Meter at the top right. These are meters you will find in Dickinson’s poetry. Following is an example of Common Particular Meter. The first stanza comes from around 1830 – by J. Leavitte, the year of Dickinson’s Birth. This stuff was in the air. The second example is the first stanza from Dickinson’s poem numbered 313. The two columns on the right represent, first, the number of syllables per line and, second, the rhyme scheme. For those |that love |the Son. Allure and guide us home. One more variation on ballad meter would be fourteeners. Fourteeners essentially combine the Iambic Tetrameter and Trimeter alternation into one line. The Yellow Rose of Texas would be an example (and is a tune to which many of Dickinson’s poems can be sung). but thee in His world so fair! The thing to remember is that although Dickinson wrote no Iambic Pentameter, Hymn Meters are all Iambic and Ballad Meters vary not in the number of metrical feet but in the kind of foot. Instead of Iambs, Dickinson may substitue an anapestic foot or a dactyllic foot. Next, I would check the rhyme scheme. For simplicity’s sake, I labeled all the words which weren’t rhyming, as X. If the one syllabically varying verse didn’t suggest ballad meter, then the rhyme scheme certainly would. This isn’t Common Meter. This is Ballad Meter. Common Meter keeps a much stricter rhyme scheme. The second stanza’s rhyme, away/civility is an eye rhyme. The third stanza appears to dispense with rhyme altogether although I suppose that one should, for the sake of propriety, consider ring/run a consonant rhyme. It’s borderline – even by modern day standards. Chill/tulle would be a slant rhyme. The final rhyme, day/eternity would be another eye rhyme. It occurs to me add a note on rhyming, since Dickinson used a variety of rhymes (more concerned with the perfect word than the perfect rhyme). This table is inspired by a Glossary of Rhymes by Alberto Rios with some additions of my own. 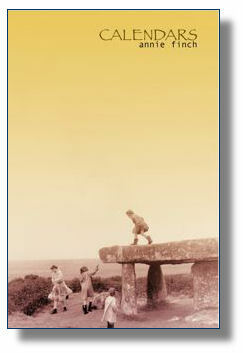 I’ve altered it with examples drawn from Dickinson’s own poetry – as far as possible. The poem’s number is listed first followed by the rhymes. The numbering is based on The Complete Poems of Emily Dickinson edited by Thomas H. Johnson. unstressed rhyme – Rhymes which fall on the unstressed syllable (much less common in Dickinson). eye rhyme – These generally reflect historical changes in pronunciation. Some poets (knowing that some of these older rhymes no longer rhyme) nevertheless continue to use them in the name of convention and convenience. identical “rhyme” – Which really isn’t a rhyme but is used as such. rich rhyme – Words or syllables that are Homonyms. assonant rhyme – When only the vowel sounds rhyme. consonant rhyme, para rhyme – When the consonants match. feminine para rhyme – A two syllable para rhyme or consonant rhyme. 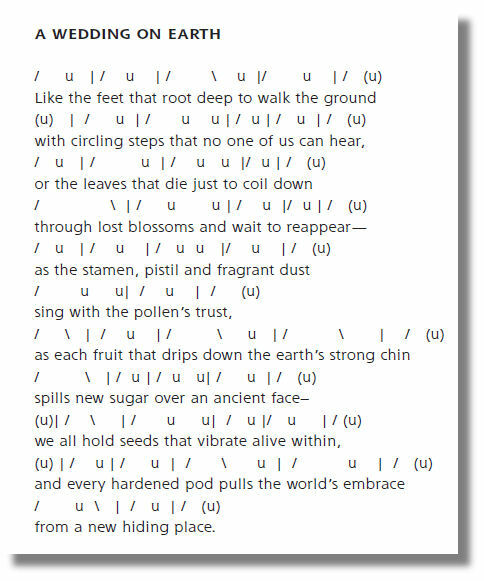 apocopated rhyme – The reverse of trailing rhyme. finger/ring doubter/scout. one syllable rhyme, masculine rhyme – The most common rhyme, which occurs on the final stressed syllable and is essentially the same as true or perfect rhyme. light rhyme – Rhyming a stressed syllable with a secondary stress – one of Dickinson’s most favored rhyming techniques and found in the vast majority of her poems. This could be considered a subset of true or perfect rhyme. end rhyme, terminal rhyme – All rhymes occur at line ends–the standard procedure. initial rhyme, head rhyme – Alliteration or other rhymes at the beginning of a line. 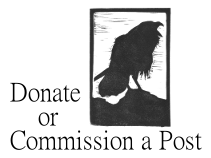 leonine rhyme, medial rhyme – Rhyme at the caesura and line end within a single line. crossed rhyme, alternating rhyme, interlocking rhyme – Rhyming in an ABAB pattern. intermittent rhyme – Rhyming every other line, as in the standard ballad quatrain: xaxa. envelope rhyme, inserted rhyme – Rhyming ABBA. irregular rhyme – Rhyming that follows no fixed pattern (as in the pseudopindaric or irregular ode). sporadic rhyme, occasional rhyme – Rhyming that occurs unpredictably in a poem with mostly unrhymed lines. Poem 312 appears to be such a poem. thorn line – An un-rhymed line in a generally rhymed passage. 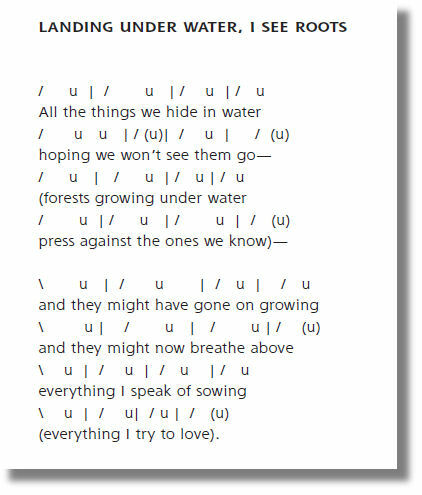 Getting back to identifying meter (in Dickinson’s Because I could not stop for death) the final method is to scan the poem. The pattern is thoroughly iambic. The only individual feet that might be considered anapestic variants are in the last stanza. I personally chose to elide cen-tu-ries so that it reads cent‘ries – a common practice in Dickinson’s day and easily typical of modern day pronunciation. In the last line, I read toward as a monosyllabic word. This would make the poem thoroughly iambic. If a reader really wanted to, though, he or she could read these feet as anapestic. In any case, the loose iambs, as Frost called them, argue for Ballad Meter rather than Common Meter – if not its overall conversational tone. The poem demonstrates Dickinson’s refusal to be bound by form. She alters the rhyme, rhyme scheme and meter (as in the fourth stanza) to suit the demands of subject matter. This willingness, no doubt, disturbed her more conventional contemporaries. She knew what she wanted, though, and that wasn’t going to be altered by any formal demands. And if her long time “mentor”, Thomas Wentworth Higginson, had been a careful reader of her poems, he would have known that she wouldn’t be taking advice. If I think of anything to add, I’ll add it.